The origins of the Seattle Public Library date from 1868 when residents of a newly established logging settlement gathered to form a library association. Today the Library boasts 27 physical locations and a mobile unit. 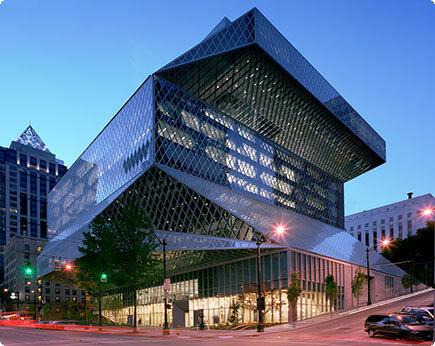 The design of the downtown Central Library, by Rem Koolhaas, is a distinctive Seattle landmark with myriad features such as an auditorium, 400 computer work stations, areas for children and teens, a coffee shop, and a collection of more than 2 million items from books and audiobooks to music (CDs), movies (DVDs), newspapers, and magazines. Philip Kennicott named it among the five “best of the decade” new buildings in the Washington Post in 2009. In 2012, Seattle’s citizens approved a $123 million, seven-year library levy designed to re-establish services cut during the Great Recession and to provide support for new initiatives outlined in the Library’s strategic plan. The strategic plan involved more than 33,000 Seattle residents who weighed in with their ideas for the Library’s future. Among many other objectives now incorporated in the plan – released in seven languages — are to lead the nation in access to digital materials; to establish the Library as the first source for practical information on commonly shared life challenges like parenting, personal finances, education, health and aging; to transform the Library into a learning lab where anyone can experiment with new technologies; and to foster an organizational culture of innovation. 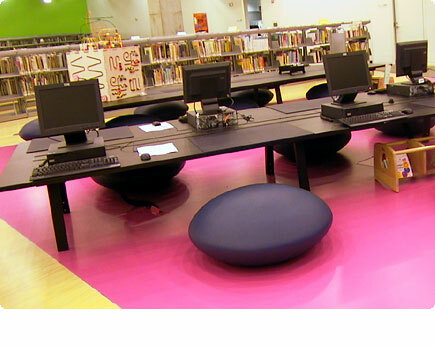 The Seattle Public Library is known in particular for its extensive collection of free downloads including e-books, audio books, music, and videos compatible with multiple devices and platforms. The Library also offers free access to databases and collections, giving users electronic access to more than 20,000 magazines and newspapers, 6,000 video and televisions shows, 300,000 albums, and the enormous e-book collection. The Library received the highest, 5-star rating from Library Journal for 2014, based on circulation per capita, visits per capita, program attendance and public Internet terminal use, one of only five such-rated in the U.S. among libraries with budgets over $30 million annually. Seattle Public Library offers online chat support for patrons’ questions and a telephone call center where questions can be answered during business hours.